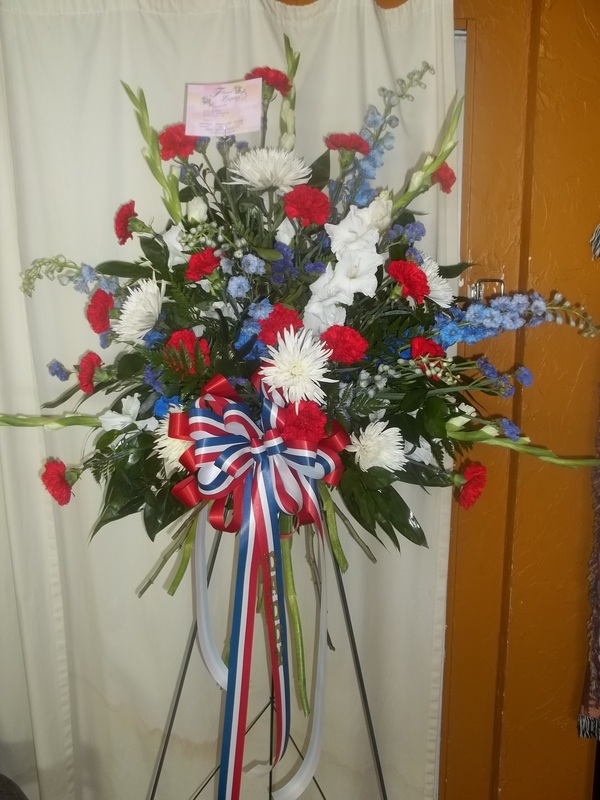 A pillow tribute with a personalized banner for honoring this veteran. 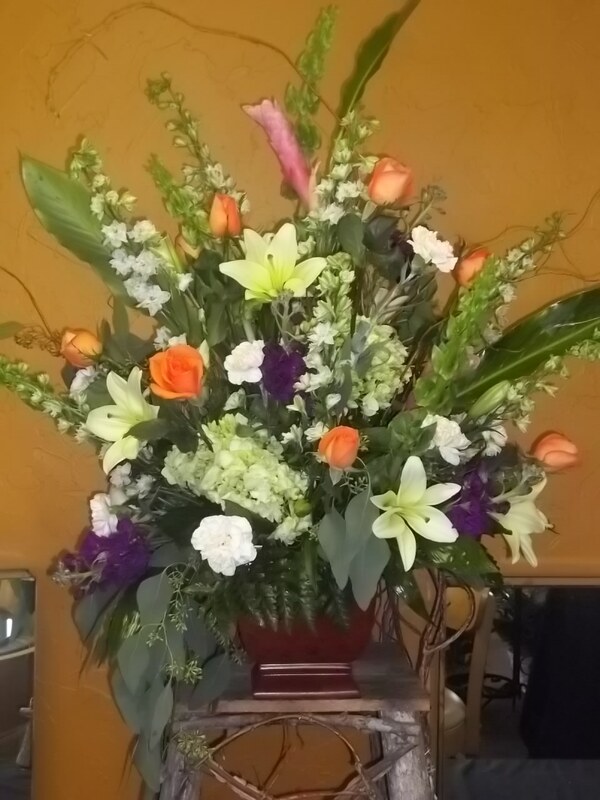 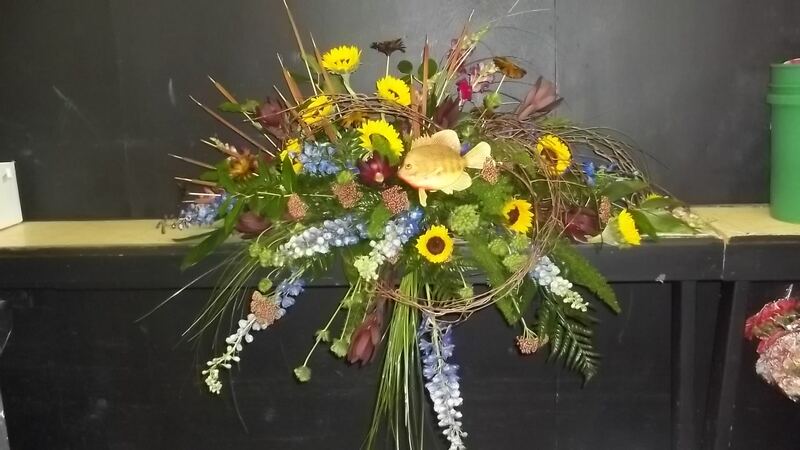 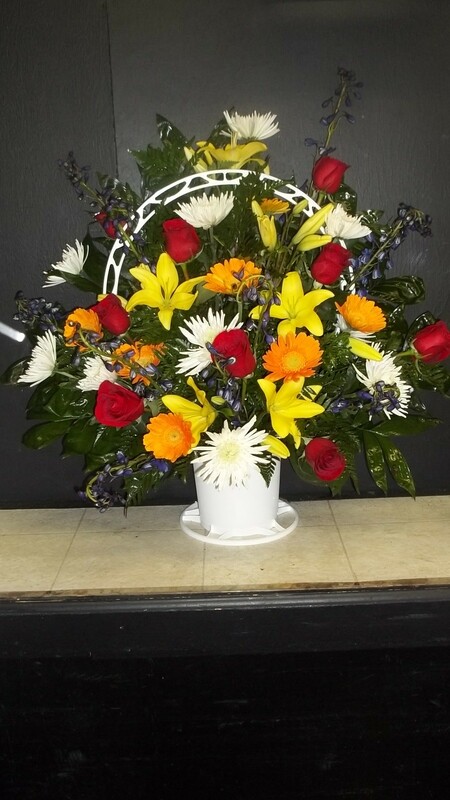 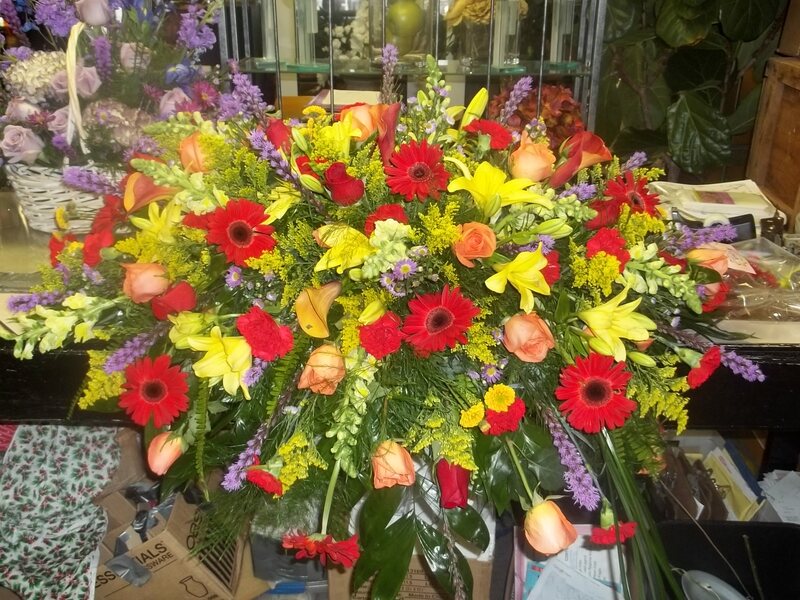 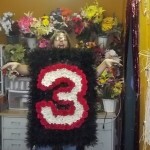 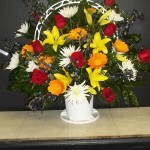 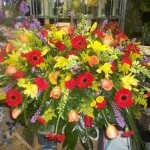 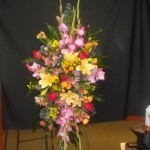 A bright casket cover of red, yellow, and purple with roses, calla lilies, gerbers, lilies, liatris and solidego. 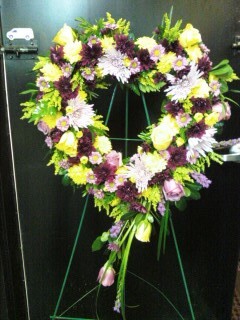 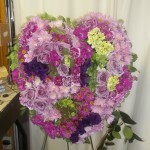 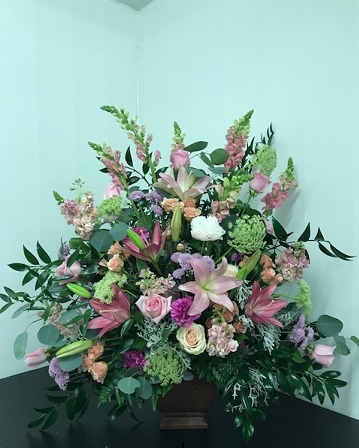 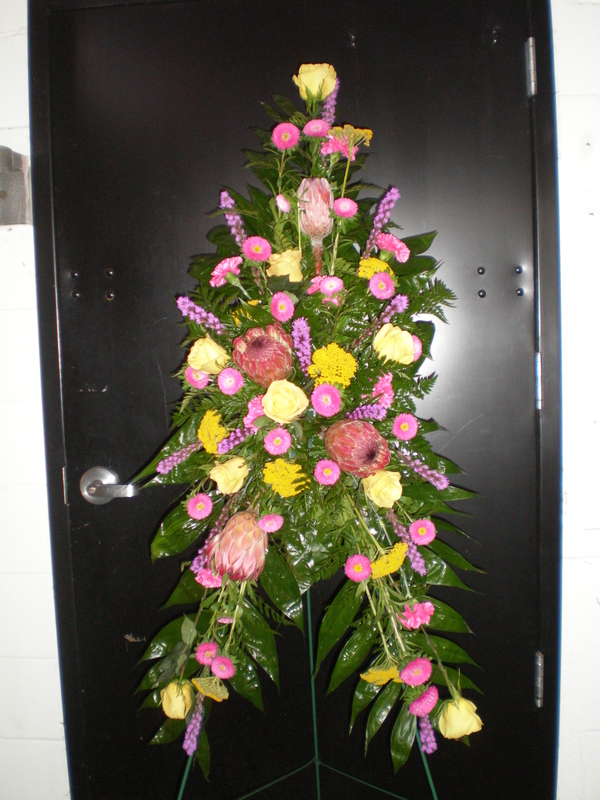 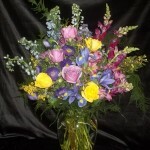 A heartfelt tribute in a mix of purples and greens in a compacted form. 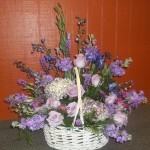 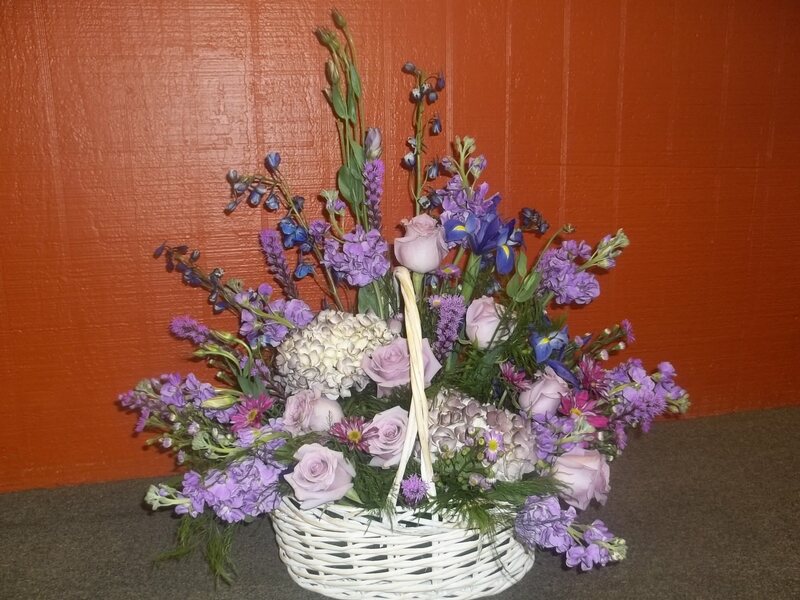 A basket arrangement for the family to take home a lavender mix. 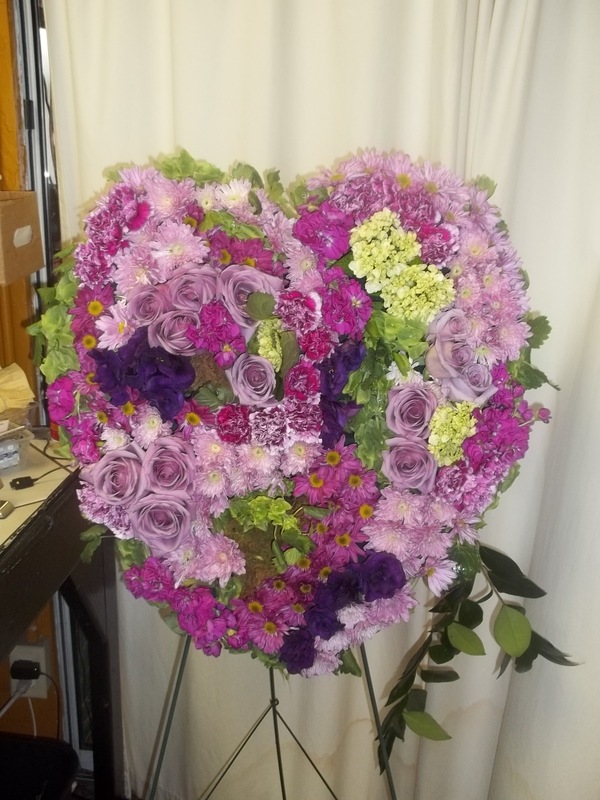 A compacted open heart form on a stand in a mix of purples and yellow. 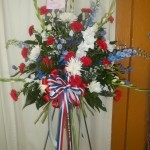 A sheild shaped spray in red white and blue. 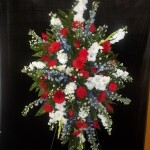 A fan shaped standing spray in red white and blue. 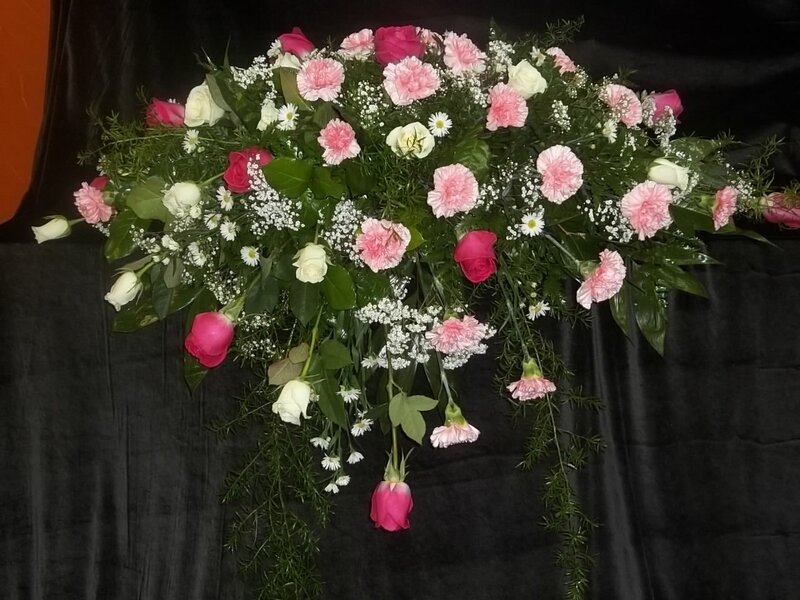 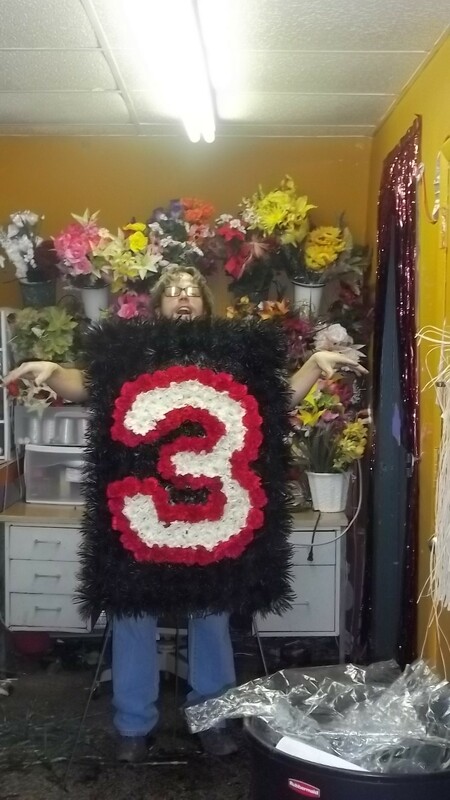 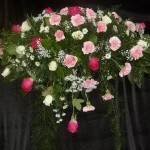 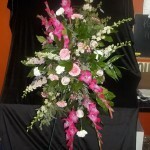 Feminine casket cover of mixed roses and carnations in pinks and white. 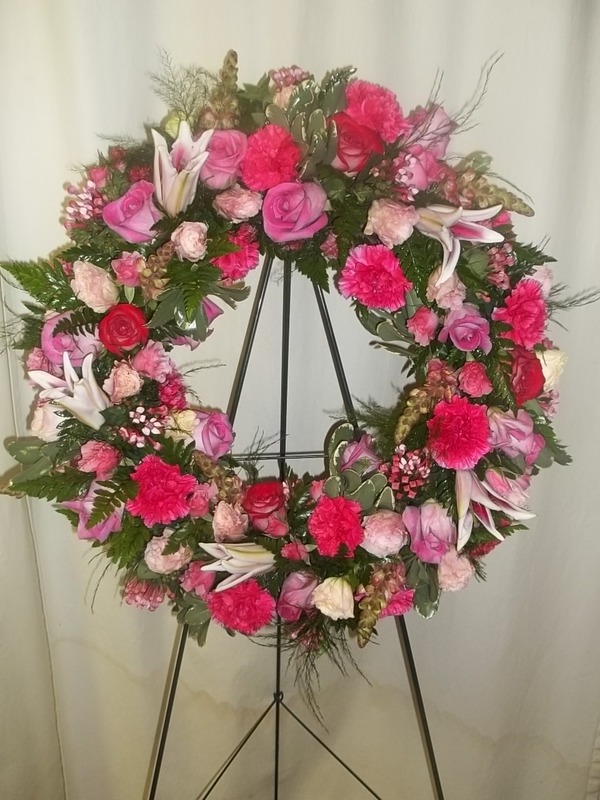 all pink mixed flower wreath. 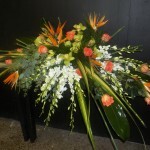 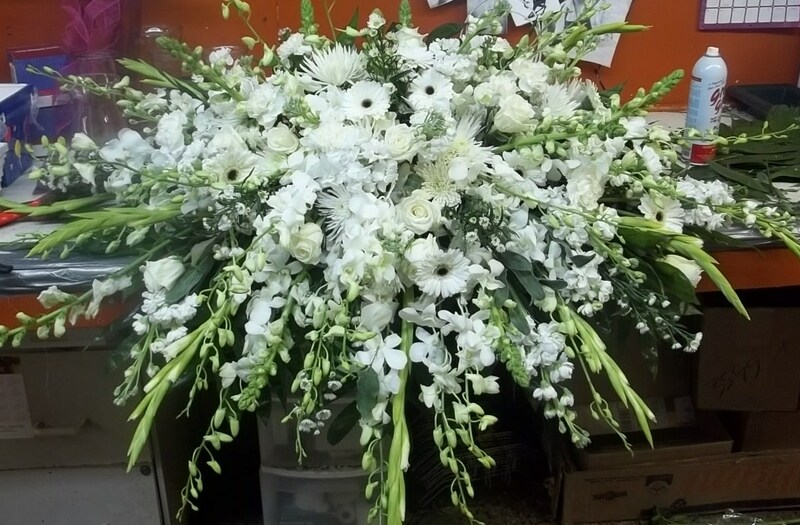 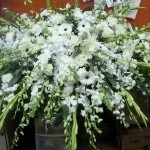 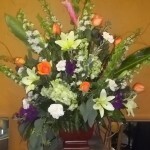 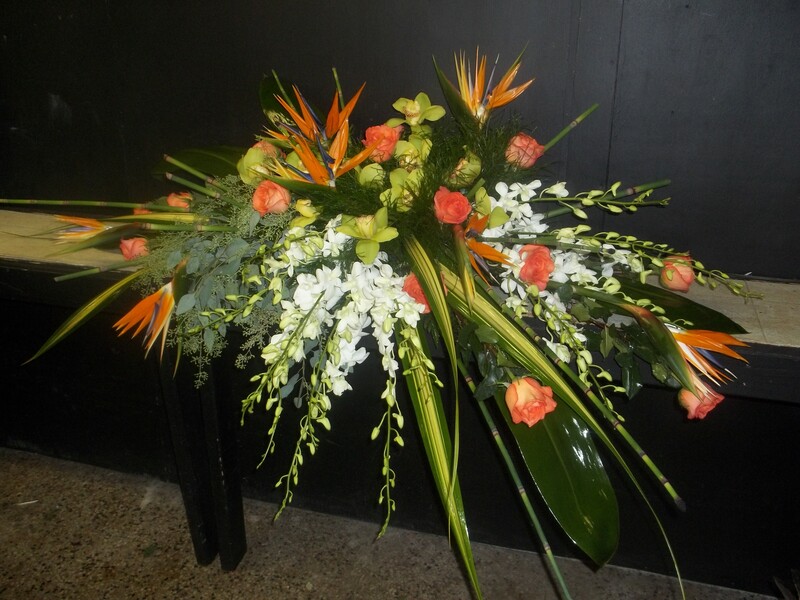 Floral arrangement for table or pedestal setting. 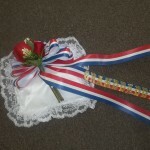 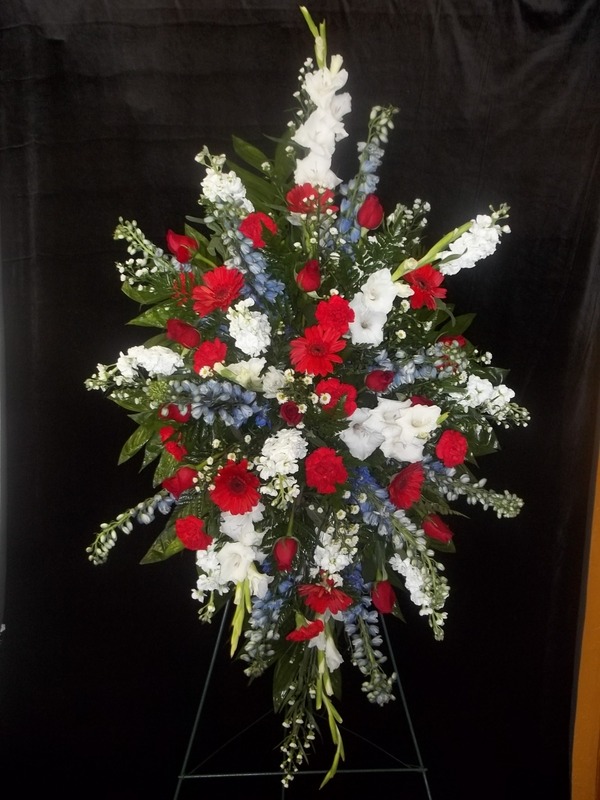 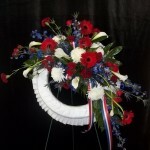 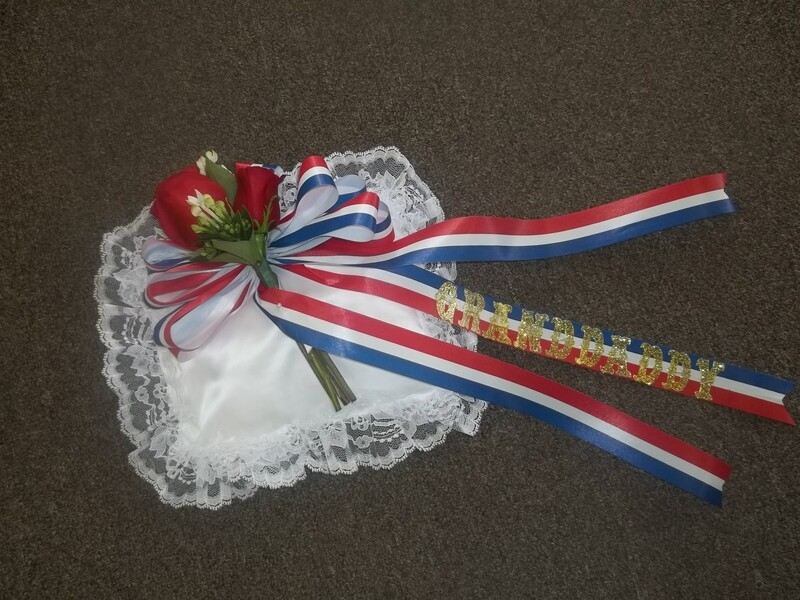 Patriotic red white and blue mix on a white satin wreath. 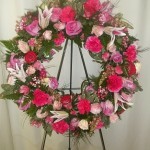 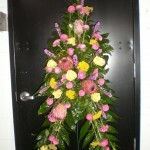 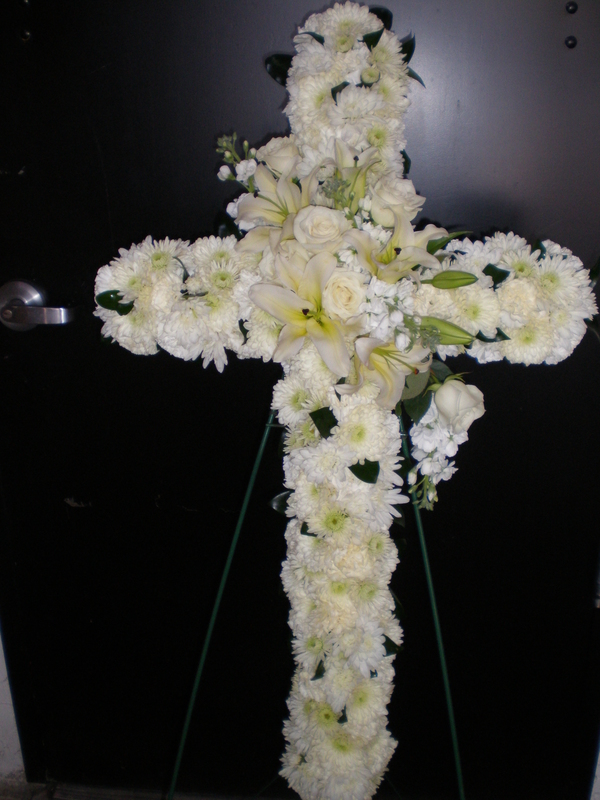 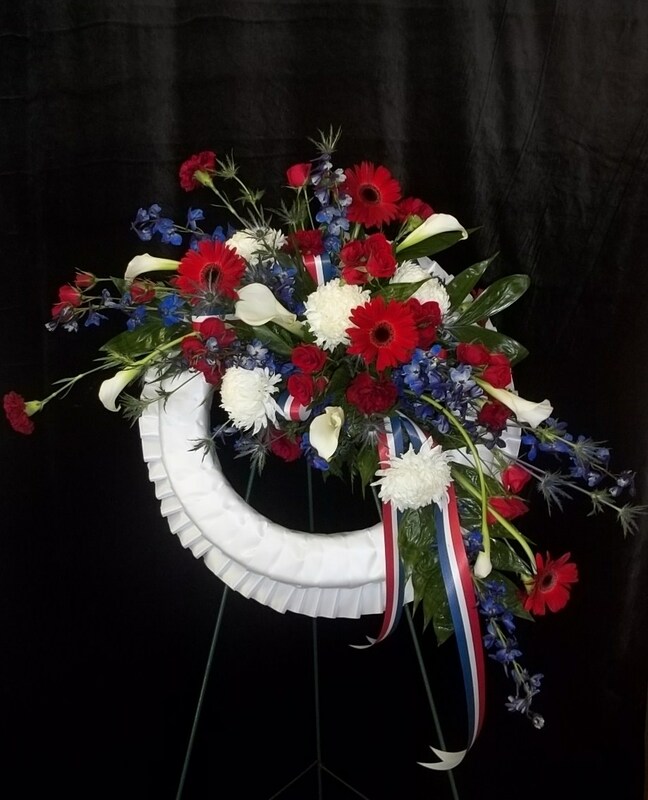 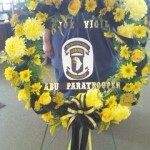 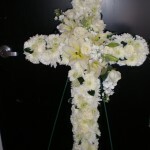 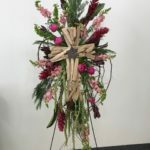 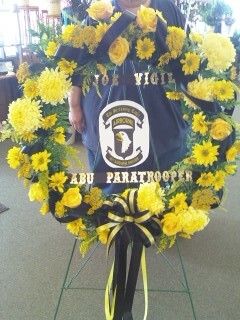 A wreath arrangement with personalized tribute of the deceased time of service. 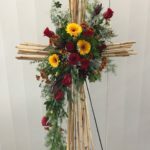 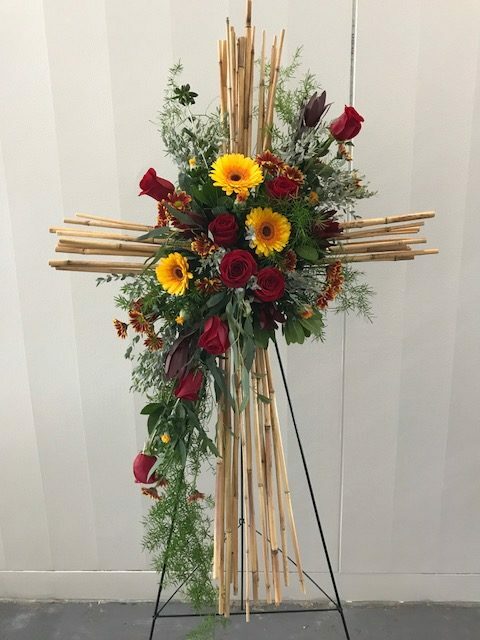 Autumn colors drape across this cross made of river cane. 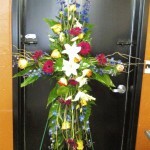 A cross formed standing spray. 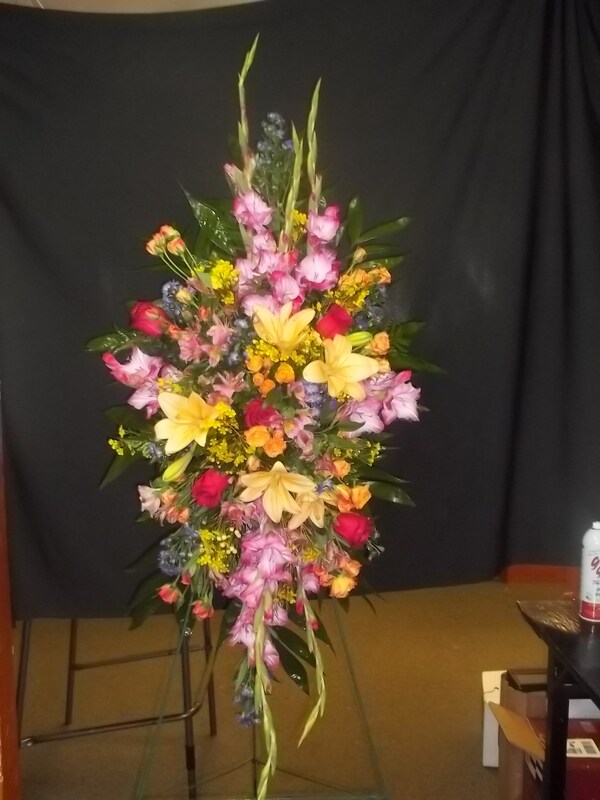 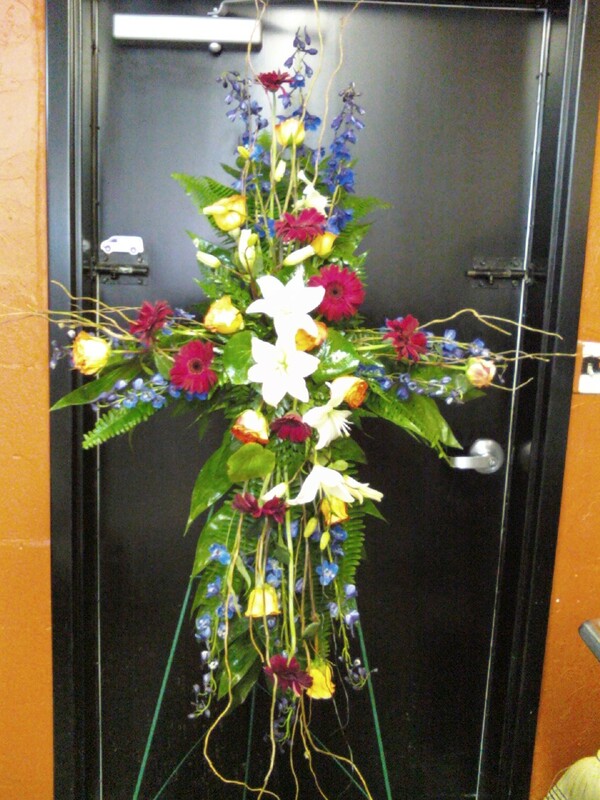 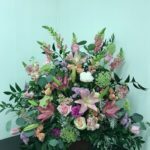 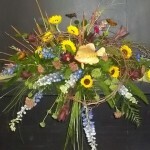 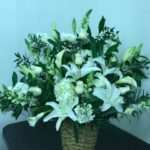 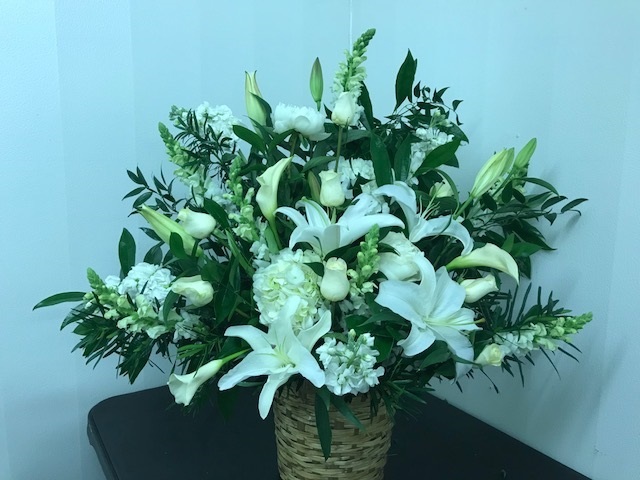 Vase arrangement for a cremation service. 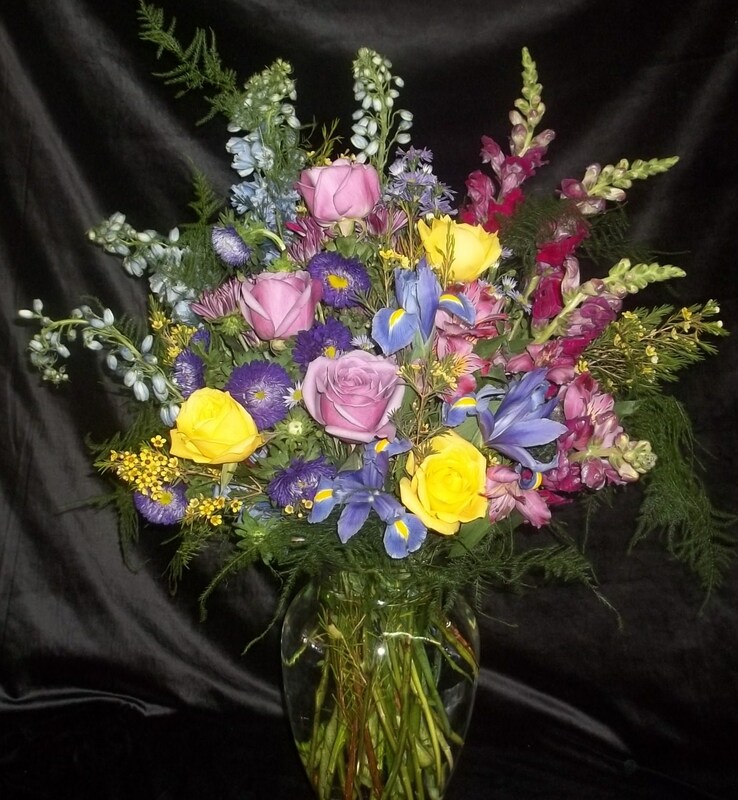 A beautiful mix for the family to enjoy. 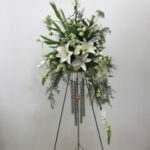 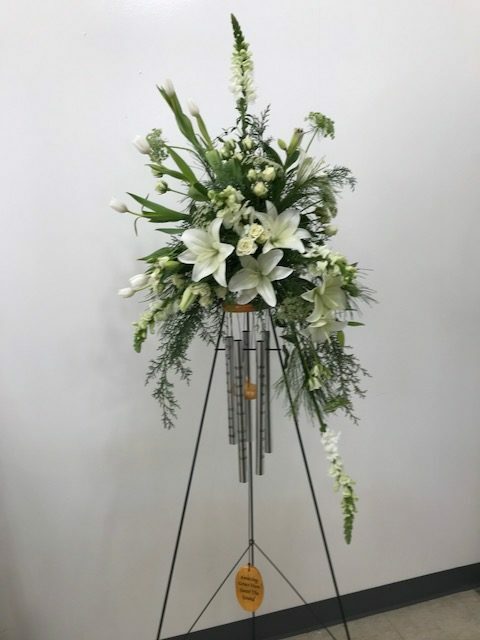 A keepsake wind chime is topped off with an elegant fan of white flowers for a unique standing spray. 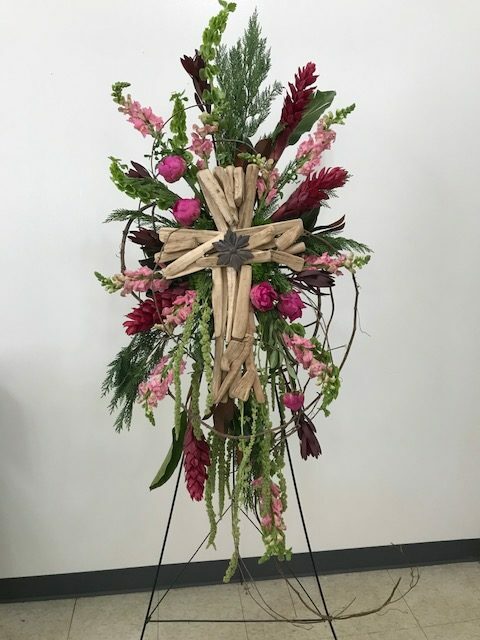 This broken grapevine spray is enhanced by a wooden cross. 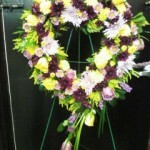 A perfect keepsake for after the flowers have passed.